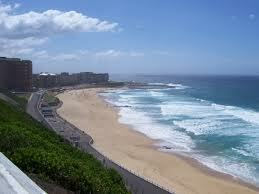 Newcastle stands as a city with a rich heritage and inspiring coastline. With its natural beauty and urban setting, anyone would feel like a move to Newcastle was a move forward. If you are all in to move to Newcastle, you will need to make sure you are going through the right way. You need to plan out the entire move to Newcastle from start to finish and have everything documented Remember, with a removalist, you will be hiring their labour, services and equipment. You will be in charge and you can use the in the most efficient manner. Factors you need to consider include time and availability. Have you packed your items? Do you want the removalist to pack it? Will you be available the whole day? Do you know which items should be sent first? Make a checklist of all these and only then will you be able to use the resources in the most cost and time effective manner. Try to get the cupboards, kitchen appliances, television and other heavier equipment out first. Then, start with emptying your drawers, wardrobes, cabinets and the like. You will have to make sure you have all your belongings in one place. Never let the removalist take cupboards or cabinets that are not empty. You never know what belongings there are in them. In addition, cleaning equipment such as vacuum cleaners and lawnmowers should be emptied or cleaned before they are sent out. This way, you will avoid equipment that will be carried with cleaning equipment. Glassware, chinaware and other similar things should be packed in solid boxes if possible boxes that are double thickness, and wrap each item in paper to avoid any damage.